The UK, with more than 60 institutions offering Islamic finance courses and 22 universities offering degree programs, and Malaysia with 50 course providers and 18 universities, are the global leaders in Islamic finance education and research, said a report. 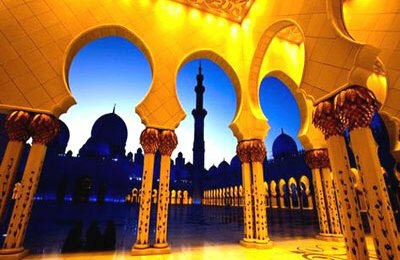 The UAE, which boasts of 31 course providers and nine universities offering degree programs in Islamic finance, comes in the third spot, followed by Pakistan, according to the initial findings by the Islamic Corporation for the Development of the Private Sector (ICD)-Thomson Reuters Islamic Finance Development Indicator. Earlier this year, Thomson Reuters, a leading provider of intelligent information for businesses and professionals and ICD announced the creation of the Islamic finance development indicator, a numerical measure representing the overall health and growth of the Islamic finance industry worldwide. The IFDI will be officially launched at the Global Islamic Economy Summit, being organised by Thomson Reuters and the Dubai Chamber of Commerce & Industry from November 25 to 26 in Dubai. It aims to expand the scope of Thomson Reuters' universe of Islamic finance content, research and news analysis and to develop an unbiased multi-dimensional barometer for the development of the Islamic finance industry. The indicator measures five key components - quantitative development, governance, social responsibility, knowledge and awareness. The IFDI recorded 420 institutions offering courses in Islamic finance and over 113 universities offering Islamic finance degrees. Russell Haworth, the managing director (Mena) for Thomson Reuters, said: "This indicator, the first of its kind for the Islamic economy, will provide companies with much needed unbiased and reliable multi-dimensional analysis regarding the development of the Islamic finance industry." The development of Islamic finance educational infrastructure will be a key driver for the establishment of the Islamic finance industry, which is why we chose the topic for our first IFDI analysis, he stated. Based on its analysis, the IFDI has found that the UK is the global leader in Islamic finance education with over 60 institutions offering Islamic finance courses and 22 universities offering degree programs specializing in Islamic finance. Malaysia and the UAE, both established global Islamic finance hubs, followed the UK in terms of a comprehensive Islamic finance education infrastructure. Malaysia also led in terms of research published on Islamic finance in the last three years, with 169 research papers, of which 101 were peer reviewed. The UK and USA followed with 111 research papers (56 peer reviewed) and 73 research papers (39 peer reviewed) respectively. A total of 655 research papers were issued globally on Islamic finance in the last three years, of which 354 were peer reviewed. Khaled Al-Aboodi, the chief executive officer of ICD said: "Today’s findings are a perfect example as to how and why the IFDI can identify the critical growth components of the Islamic Finance industry. Our research shows that countries that build their educational infrastructure can benefit most from the growth of their Islamic finance industries." "Through their research and thought leadership countries, like the UK, Malaysia and the UAE have the potential to significantly influence the direction of the regional Islamic finance sector," he noted. Dr Sayd Farook, the global head of Islamic Capital Markets for Thomson Reuters, said: "Research is an important metric used by the IFDI to assess the depth of knowledge dimension within the Islamic finance industry. Our initial research indicates that the industry lacks the availability of in-depth research which, in turn, limits innovation and development."